@KuenselOnline Publishes a Correction. What about @BBSBhutan? 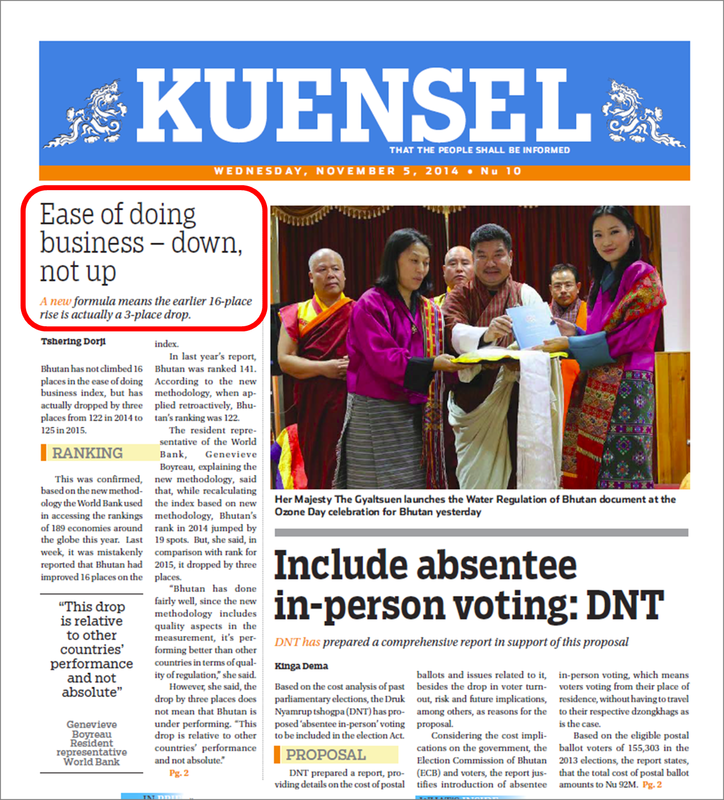 Three days after we first wrote about the mis-reporting of Bhutan's Ease of Doing business ranking, the Kuensel published a correction on its front page. Kudos to the newspaper for taking responsibility and informing the public. Hopefully BBS will soon follow suite. Is it Really Easier to Do Business in Bhutan? Creating an environment conducive to businesses is a top priority in Bhutan. The private sector is where jobs are created. That's why the World Bank's annual Doing Business report, which includes the famous Ease of Doing Business ranking, is a yearly ritual that businesspersons, investors, decision makers - and the public - are watching carefully. The report for this year was published on Thursday. In case you are using Facebook - and in Bhutan, who isn't?- you may have noticed an interesting change in your news feed in the last few months: as you scroll through the feed, videos posted by friends start to play automatically. The videos play silently (thank goodness for that!). Clicking on the video will turn on the audio. In the ever constant battle among the media companies to get our attention, this feature - called autoplay - is a rather clever way to distract us even further. And because the videos are muted by default, users can live with this annoyance (in fact, some experts speculate that the recent viral success of the ALS Ice Bucket Challenge can be partially attributed to Facebook's autoplay feature). But what about the data implications? While many ISPs around the world offer plans which include unlimited (or capped) data quotas, in Bhutan the situation is different: broadband and 3G users pay for each byte they consume. Thus, whenever you visit Facebook (either on a desktop or your smartphone) and there are autoplayed videos in your feed, it means that you have paid for downloading those videos, whether or not you clicked thems. And since videos are data intensive, this hits your account balance rather heavily. Thus, if you noticed that your data balance is draining a bit too fast and you are a Facebook user, it might be a good idea to turn off the video auto-play feature. This will also save precious bandwidth for other applications. If you are interested in disabling Facebook auto-play, use this simple guide. Good luck! Dzongkha smells like "incense burning under a starlit sky"
I first wrote about the Dzongkha perfume in 2011. I recently bumped into "Perfumes: The A-Z Guide" at the local library. This is a fat perfume "bible" which contains reviews of (almost) every perfume on the planet. I was happy to see that "Dzongkha" got a raving four-star review! When I first landed in Paro six years ago, little did I know that 2008 would turn out to be an auspicious year that would be remembered in Bhutanese history as a year of tremendous events and tectonic changes: His Majesty, the 5th Druk Gyalpo, was crowned; the first ever elections for the national assembly took place; a democratically-elected government began ruling; and the constitution was enacted. Significant technological changes engulfed the country as well: In 2008, both broadband and mobile internet services were introduced in Bhutan for the first time. These two technologies signalled the start of a new era in ICT. No longer did Bhutanese need to connect using ancient dial-up modems and wait long minutes (or even hours) to read email, surf the web, or download documents. During the same period, global technological innovations that changed the world took place. Twitter was launched in 2006. Facebook was opened to (almost) everyone a few months later. The first iPhone was introduced in 2007; the first Android-based phone saw light the following year. The combination of global and local developments - social media, smartphones, and faster and cheaper access - has had a rapid and profound effect on Bhutanese society. It was thrilling to experience the incredible changes that took place over the last 6 years: examples include the international internet capacity increasing dramatically to 5 Gbps; more and more government services becoming available online; a very active blogging scene with writers, such as Passu, receiving more than 1000 page views a day and having a voice heard within and outside Bhutan; politicians and journalists skillfully using social media including a Prime Minister with more than 34,000 Facebook “Likes” and 8,000 Twitter followers; a small but promising start of local apps, for example, the beautiful Zakar app commissioned by the Dratshang Lhentshog; and the launch of iSchool, an initiative to tackle the shortage in teachers by using remote classroom technology. Along with these wonderful developments, challenges abound. I list a few challenges that deserve careful attention going forward, if the goal is to embrace progress while actively supporting an adaptable, healthy and forward-looking society and culture. The broadband divide: While urban dwellers are increasingly enjoying faster and cheaper internet connectivity, accessing the web in rural areas is often next to impossible. Mobile broadband technologies have the potential to significantly narrow the access gap between these two increasingly growing-apart segments of society. How? By skillful deployment of fast 3G in all gewogs, as well as guaranteeing that cheap devices are available to all. A recent unfortunate decision made by BICMA, the body in charge of regulating the telecom providers, has made cheaper Indian smartphones unusable for 3G in major Bhutan localities. This in effect helped widen the gap instead of narrowing it. In the future, important decisions affecting society and individuals must be carefully scrutinized. Hi-tech industry: The launch of the much-awaited, World Bank-supported Thimphu TechPark, with its failure to jumpstart a hi-tech IT industry, was a stark reminder that “if you build it, they will come” doesn’t always work. While the lack of speedy and reliable internet connectivity certainly hasn’t helped, the main issue has been the lack of top-notch talent. A thriving IT industry requires the best and brightest to compete globally. Computer programming can be taught at primary school level, and high school toppers in science and math must be directed and encouraged to study computer science and computer engineering (but not “computer applications”) at top universities. A handful of successful IT startups can create employment opportunities even outside of ICT, in fields such as e-agriculture, media, music, health, travel, and education. Boaz Shmueli was a faculty member and co-director of the Rigsum Research Lab at the Rigsum Institute of IT & Management, 2008-2014. My broadband account gets depleted very quickly. How can I check what the problem is? Internet in Bhutan has rapidly evolved from being a luxury toy for occasional usage to a necessary utility used on a daily basis. With such usage, your broadband Internet bills can therefore add up rather quickly. Prepaid broadband costs about Nu 100 for every GB these days (and slightly cheaper if you happen to recharge using the Nu 1499 or 2499 packages). Some users find that their balance quickly vanishes into thin air, and they often tend to blame Bhutan Telecom for faulty bookkeeping. But the truth is that there can also be other causes for a quick drain. If you suspect that you are overcharged, here are a few steps to take before rushing to Bhutan Telecom. Change your broadband password. The Bhutan Telecom system is set up in such a way that multiple users can use the same account (dnetxxxxxxxx) from multiple fixed lines at the same time. So, if a “friend” got hold of your password, they might be logging in from their home and downloading the recent Bollywood blockbusters at your expense. Changing your password will hopefully put a stop to that (but hopefully not to your friendship). Secure your wireless network. More and more homes in Thimphu have wireless routers, allowing laptops, smartphones, and tablets to connect to the Internet without cables. However, if your network is not secured with a password - or, if your password is simple to guess - your lovely neighbor might be taking your Internet connection for a free ride. Secure your network by setting a strong wireless password. Check the documentation that came with your wireless router for further instructions. Protect shared computers. Is there any chance other members of your household — brothers, sisters, spouse, children — are using your computer to watch their favorite YouTube videos when you’re at the office? It’s not a bad idea to password-protect your Windows account. Visit the Windows Control Panel to password-protect your user account, as well as disable any other accounts that are not password protected (such as the Guest account). Say you've done the above, but are still puzzled about how your data is used. This is where a bandwidth monitor comes in handy. A bandwidth monitor keeps track of the data used by your computer, and shows you how your data is used. A recommended utility for Windows computers is the free NetLimiter 2 Mon, which you can download at www.netlimiter.com/download.php. Other creatures can also feed off your wireless network: if you connect an Android phone or tablet to your wireless network, you can check the data usage by using the built-in counters at Settings > Connections > Data Usage > Wi-Fi. If you happen to own an iPhone or iPad, you will need to install an app that monitors Wi-Fi usage, such as the free Cisco Data Meter (available at the iTunes app store). Taken all the above steps? If you still think DrukNet is overcharging you, take a printout of the bandwidth monitor’s statistics with you when you pay the Bhutan Telecom office a visit. Luxury mineral water brand @VEENWaters operating in Bhutan? Bhutan has a good track record of carefully managing its environment, and thus I find this puzzling. Water is a natural resource - like timber, minerals, or oil. And bottled water is a very controversial issue. Who has the rights to Bhutan's water? I am surprised mainly because I don't recall ever hearing any discussion or reading about this initiative in the Bhutanese media or anywhere else. PS: There are enough status-obsessed Indians who have no problem paying exuberant prices for water. 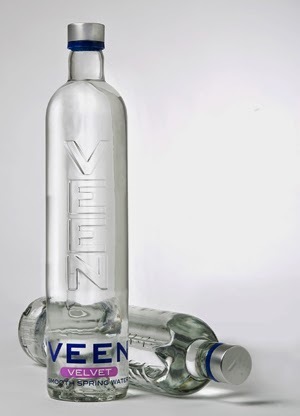 The 660ml glass VEEN bottle will be sold at an MRP of Rs 110, while the 330ml will be a bargain at Rs 77. This translates to anywhere between US$2700 and US$3500 per 1 m3 (one cubic meter) of water. How much of that, by the way, will find its way back to Bhutan? 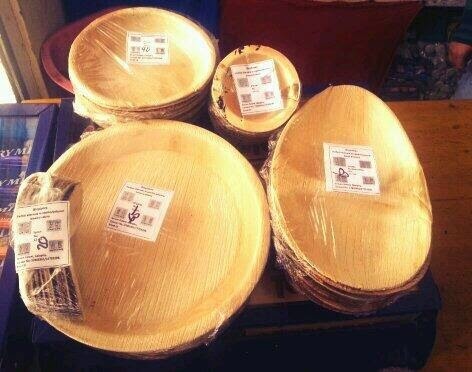 Biodegradable plates and bowls manufactured in Chuzugang from the areca nut palm tree (with the help of SNV Bhutan) have finally hit the Thimphu market. We happened to notice them in Sharchhogpa Tshongkhang on Norzin Lam, on a shelf behind the cash register. They are sturdy, visually pleasing and environment friendly. PS: In addition to plates and bowls, there are also biodegradable spoons. However, they are not polished, have rough edges, and can scratch your mouth. Beware of these quality issues. Hopefully SNV Bhutan will be able to fix these problems. With the growing reliance on computers for authoring documents, filling forms, writing essays, articles, books, etc., knowing how to type has become an essential skill. How does one learn how to type? You can take a course (IT classes at schools or courses at IT training institutes), or you can teach yourself. Typing software (also called typing tutors or typing trainers) are a useful tool to self-learn using a keyboard for typing. There are plenty of options (free and paid, online and offline) for learning to type in English. In contrast, to the best of our knowledge, for Dzongkha there is only one: DzType, developed by our Rigsum Research Lab. DzType 1.0 was released in 2010 and DzType 2.0 (Beta) was released this week. DzType is a free, lightweight tool that can help complete beginners gain proficiency in a short time. It has a simple interface and takes the user gradually from simple to more complex (from single characters to words to sentences; from single-key pressing to key combinations). Color and audio cues are used to reinforce correct and incorrect typing. The need for a typing tutor in Dzongkha is especially dire, since it is more difficult to get started compared to, say, English: you can't simply look at the keyboard and hit the right key, because most keyboards in Bhutan do not have the Dzongkha letters etched on the keys. In most typing classes, students are given a printout with an image of a keyboard with the Dzongkha and English letters (with four keyboards, each with different symbols - see image), and they need to map each of the image keys to their keyboard. 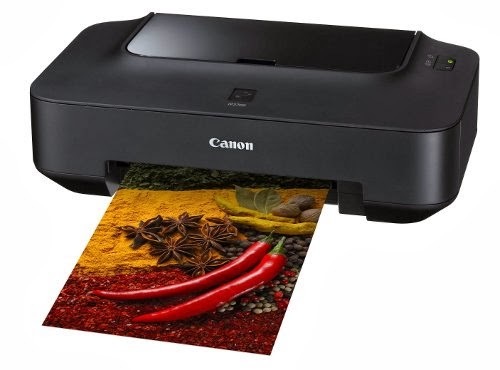 This means that to type some text you have to look at the text to be typed, then refer to the page with the keyboard image, then look at the keyboard, and finally at the screen to check your typing. Four sources! Not only is this slow, but it also requires space for all the extra paper. One workaround that avoids the extra keyboard image page is sticking small stickers with the Dzongkha Alphabet on the keyboard. However, because each key is used for multiple symbols, it requires multiple stickers per key, and stickers tend to wear off quickly. Another aspect in which typing in Dzongkha is more complicated than typing in English is the prevalence of key combinations in Dzongkha typing. To type most text in English, one needs to press a single key. For capital letters, we hold the SHIFT key and press another key. In contrast, to type most text in Dzongkha, one needs to learn not only single-key pressing (called "normal keyboard") but also combinations while holding the SHIFT key ("Shift keyboard"), while holding the left-ALT key, and even holding both the SHIFT and the left-ALT keys while pressing other keys. DzType 2.0 can be used by perfect beginners as well as by those who want to upgrade from two-finger typing to "touch typing" where you use all fingers and don't stare at the keyboard. DzType 2.0 (Beta) is available online for free. The offline version will be packaged with the forthcoming Rigsum Sherig Collection 3.0. We welcome your feedback on the DzType Facebook page. I feel that Facebook is bad for me and I want to delete my account. How do I do that? There’s a small but growing trend of people quitting Facebook. Some are worried about their online privacy. Many find that using the social network depresses them. Yet others are worried that they spend way too many hours chatting or playing Candy Crash instead of spending face-to-face time with their family and real friends. Whatever the reason, leaving Facebook is not difficult. Initially, you may want to deactivate your account. What does deactivation mean? When you deactivate your account, your timeline disappears immediately. Your friends will no longer be able to find your information, photos or old posts. Deactivation is reversible — all your information is still stored on Facebook’s servers. If indeed you want to deactivate your account, click on the account menu at the top right, select Settings, then Security at the left column, then click Deactivate your account. One caveat: if you administer any Facebook groups (or events), your admin status in those groups (or events) will not be automatically restored upon reactivation. As long as you keep away from Facebook, your account will remain inactive. To reactivate it, simply log back into Facebook. That’s it - you are back in the trap, with all your status updates, photos, and old friends (unless they happen to “unfriend” you). Deactivation can be a good way to test the waters and see if you can survive without Facebook. If you decide that that’s it - you are 100% sure - you can go the whole hog and permanently delete the account. This can be done by visiting www.facebook.com/help/delete_account. Before you do that, however, you might want to “liberate” your information that is stored on Facebook’s servers, including those unforgettable Pattaya photos, by downloading the entire archive of your account content including photos, wall posts, and more to your computer. To download the archive, click on the account menu at the top right, select Settings, find and click Download a copy of your Facebook data, and follow the instructions. Many heavy Facebook users admit that even a 30-day “detox” period has tremendous benefits. Perhaps its worth giving it a try. How can I find the real owner of a website? Indeed, website ownership is often more than meets the eye and some detective work might be needed. Start by visiting the website. If the website has an “About us” or “Contact us” page, the answer to your question might appear right there. Some website owners, however, do not provide that information on the website. In that case, your next best bet is to try and find out who owns the domain name for the website (the domain name is the address that you enter in the browser, for example www.google.com). The domain ownership information is often stored online in a special database called WHOIS database, and you can use free WHOIS lookup services to query this database. One such free service is the excellent DomainTools. To look up a domain, visit whois.domaintools.com, enter the website address, and hit Lookup. If the lookup was successful, you will find plenty of information about the owner, which might include their address and phone number. For example, when you look up www.google.com, you will find that the owner is (surprise!) Google Inc. in Mountain View, California. Sometimes the output from the lookup will send you to another website, requiring an additional step to uncover the ownership information. For example, if you search DomainTools for www.bpc.bt, you will get the following response: “For more information, please visit http://www.nic.bt”. That’s the case with all Bhutanese domains. The website www.nic.bt indeed has ownership information for Bhutan-registered websites, and it will tell you that bpc.bt is registered by Pema Tshering of Bhutan Power Corporation in Thimphu. Some website owners do not like the idea of having their personal details available online, so they use a domain privacy service. In such cases, the website owners’ details in the WHOIS database are replaced by the name of a company which acts as their proxy. 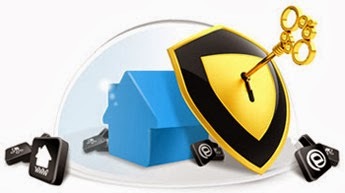 Popular domain privacy services include “Domain by Proxy” and “Domain Privacy Services”. To find out who is behind a privacy-protected domain, you will need to contact the owner’s proxy and convince them why you need the name of the domain owner. If you have a good reason (for example, the website is doing something illegal), and a good lawyer, you might be successful. I bought the Galaxy Grand Duos smartphone but found out that it does not work in Bhutan. What can I do? Will it help if I “root” the device? The Galaxy Grand Duos model that is sold in India supports the 3G bands of 900, 1900, and 2100. The bands used for 3G by Bhutan’s operators are 850 and 2100. 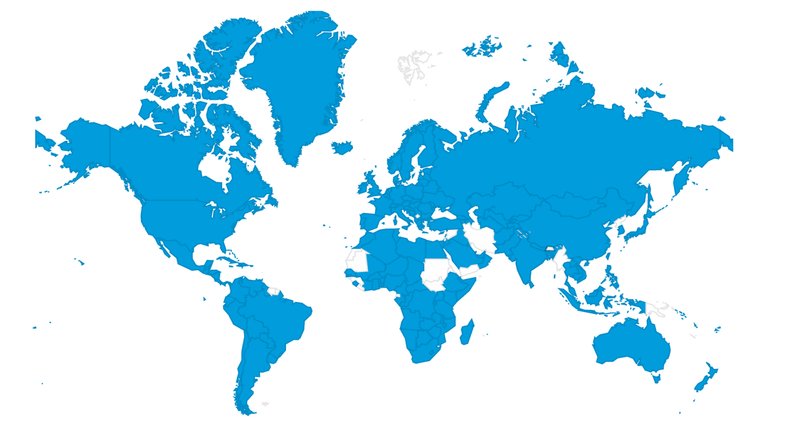 Thus, wherever 850 is used (Thimphu, Paro and a few other locations), your phone will not be able to use 3G. This is a limitation of the phone’s hardware, and “rooting” the phone – which means gaining complete control of the smartphone’s software – will not help. In fact, it often means voiding the manufacturer's warranty as well as running others risks, including making the phone totally unusable. Due to BICMA’s user-unfriendly decision to use the North American band of 850 instead of the standard Asian 900 band, quite a few other Bhutanese customers are in your situation and will need to buy new, expensive phones; if it’s any consolation, they say shared sorrow is half a sorrow. Is the Sherig Collection available online? How can I download it? 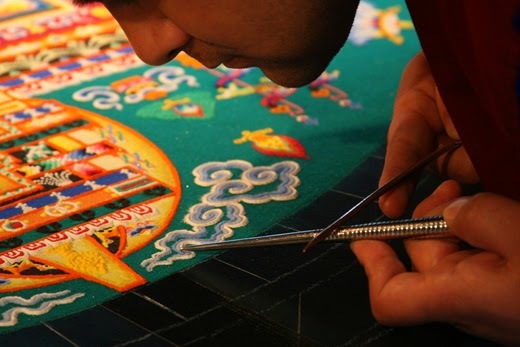 The Sherig Collection is a set of educational resources for teachers and students in Bhutan. It includes offline Wikipedia, thousands of educational videos, Dzongkha dictionaries, e-books, audio books, exam banks and more. It can be installed on any Windows computer - no Internet required. The size of the collection is pretty big - it’s about 25 GB, and it is not available online. Why? Given the speed and stability of broadband Internet in Bhutan, it would take days to download the Collection (assuming that the connection or the power did not drop half way, in which case you’d have to start all over again…). The only practical way to get the software is by copying it using an external hard drive or a 32 GB pen drive. You can get the software in many schools in Bhutan. For more information, register at sherig.rigsum-it.com. With the new school year starting soon, let me take the opportunity and wish all teachers, students and parents a happy year of learning! Is it true that Google Apps is more secure than our current email systems? Lots of resources are often invested in securing computer systems. We recently read about the government’s plan to use an online service called Google Apps to store and manage email and documents for civil servants. It was mentioned that one of the benefits of using this system is increased protection against hacking, as the government’s existing mail servers are considered more vulnerable. While this may be true, the sad reality is that any system is as secure as its weakest link. And the weakest link in information security is usually human beings. Movies often depict hackers as geniuses (often in wheelchairs, for some reason) who break into computer systems. The truth, however, is that hackers often do not need to have special technical skills in order to break into computer systems. They need to understand human nature, and they can manipulate people into disclosing confidential information, such as passwords, by various tricks. This is known as “social engineering”. For example, a hacker might call an employee by phone and pretend to be the IT administrator, asking for the password in order to “maintain the account”. Or a hacker might “accidentally” drop a pen drive with malicious software near the premises of a targeted organisation, hoping that a curious employee will find the pen drive and plug it into a computer, thus infecting the organisation’s system. 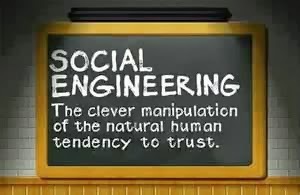 Social engineering techniques take advantage of common human traits such as curiosity, fear, kindness, trust, and greed. Many of the most successful hackers are brilliant “social engineers”, understanding and manipulating human beings. In Bhutan, the levels of trust are high and people do not tend to be suspicious. While it makes for a wonderful social atmosphere, and is certainly great for the happiness metrics, it also means that rogue people with malicious intent can quite easily take advantage of this cultural psyche. Google Apps security is better than existing ones, but human beings are still the same. How do I recover emails that were permanently deleted a few months ago? All three popular online email services - Yahoo! Mail, Hotmail (now called Outlook.com), and Google Gmail - allow you to recover recently-deleted messages. This is similar to the Recycled folder on Windows. Gmail keeps deleted messages in the Trash folder for about 30 days. After 30 days in the Trash folder, the message is deleted permanently (but keep reading). Hotmail and Yahoo have similar policies. To restore messages that were deleted recently, go to the Trash folder (or the Deleted folder), check the checkboxes of the messages you want to un-delete, and move (or drag) the messages back to the Inbox. If you are using Hotmail (or Outlook.com), you can ask Microsoft to recover even more messages. Go to the Deleted folder, and look for the “recover deleted messages” option at the bottom of the screen. Clicking the option will request the server to retrieve as many deleted messages as possible. Since free email accounts these days come with tons of storage (Gmail has 15 GB, enough for tens of thousands of text emails), many people choose to keep all of their correspondence (in Gmail, you can hit the Archive button to move the message from the Inbox to the Archive). Archiving emails saves you the effort of thinking which conversations to delete as well as reduces the chance that a message you deleted will end up being important.